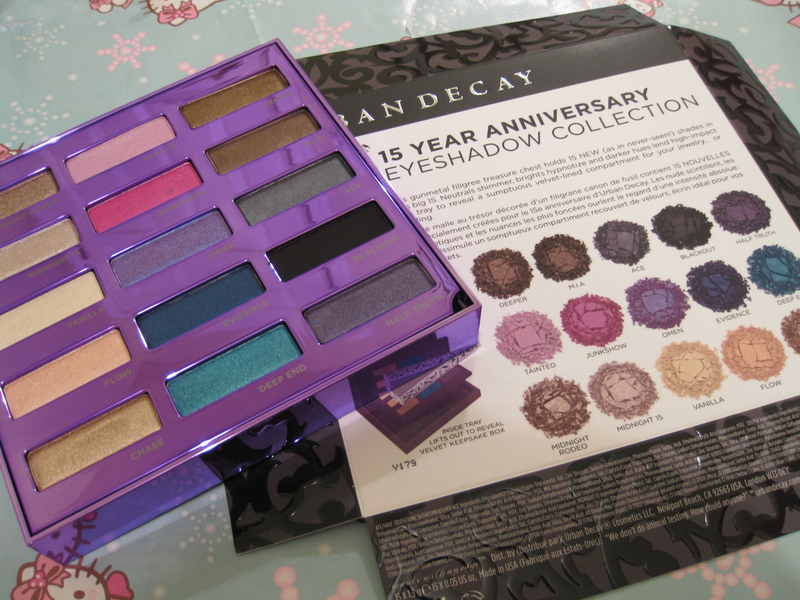 Kalifornia Love: I Got It: Urban Decay 15-Year Anniversary Palette!! Congrats! 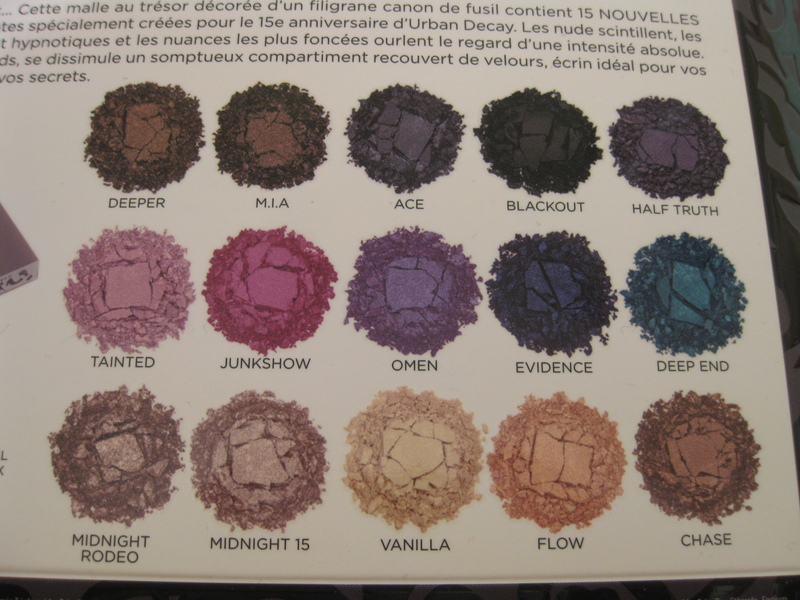 The shades look gorgeous! Want. Even if it's just for Deep End. 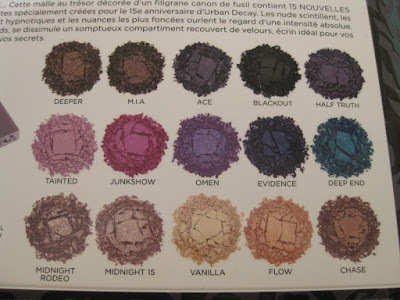 Look forward to the swatches! OMG! I'm so jealous! You're very persistent! Haha. I need this! Thanks for sharing. 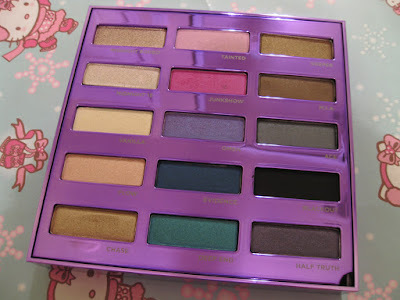 :) I know the packaging isn't the best, but those eye shadows look amazing! Oh no, the packaging is just not for me...some great colors in there thou! @ Everyone.. I can't believe it but I'm able to comment!! Yay!! I'll be getting back to all your comments (on all posts) very soon!! @ Christine Iversen.. Thank you. 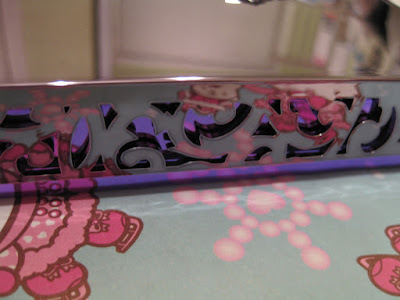 Review was just posted today! @ PLG.. I'm in love with it! @ Blackmentos.. Aw.. I hope you're able to get your hands on it. Good Luck! @ ChrissyDee.. I hope you get it! It's a great palette. Swatches went up today. @ JC.. Definitely call if you ever want something for future reference. =) I've been lied to though. =( .. So I'll call up to 3 times some days and ask different employees. @ StealMyHeartLove.. 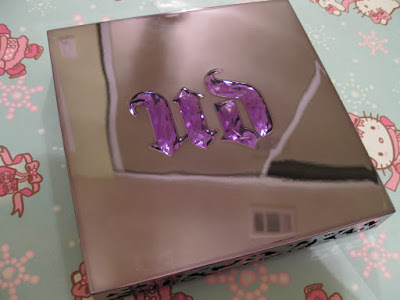 I love the eyeshadows and they are definitely worth the not so great packaging. P.S. Love your name! @ Tracy D.. Same here! But I love the shades enough to keep it.